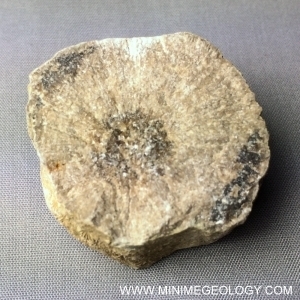 Scleractinian Coral - Astrocoenia Hyatti is a Jurassic-aged fossil coral. This unique sample will make a fun addition to your collection. Scleractinian corals are common corals that form reefs today and are also called hard corals or stony corals. These corals live on the ocean floor and have a hard skeleton. Scleractinia can form single coral or colonies.